This weekend Shoppers Drug Mart has a new promotion! 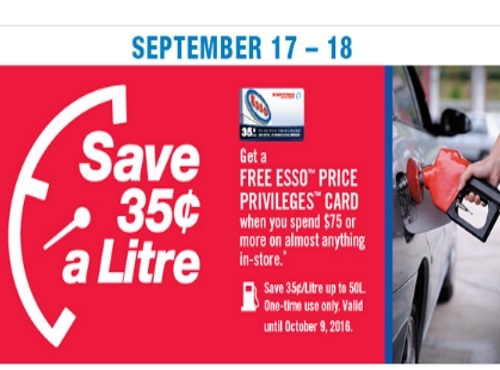 Get a Free Esso Price Privileges Card when you spend $75 or more on almost anything in-store. Save 35cents/litre up to 50L. This is a one-time use only. Valid until October 9, 2016. Offer is valid September 17-18, 2016.